Helen T. Edwards passed away on June 21, 2016 at the age of 80. She was one of the most successful and influential female physicists of the 20’th century. She dedicated her life to the advancement of accelerator and beam physics. She will always be remembered for her leadership role at Fermilab during the construction of the Tevatron. I will always remember her because I owe my career to her. She hired me as a research associate in 1988. There were many applicants that year. There are always very qualified and competitive applicants from Cornell, MIT, Harvard and schools like that. I was getting my Ph.D. from OSU (Oklahoma State University) which is not considered a top school in physics even though first rate research is conducted there. I was very fortunate to be given this chance by Helen. She was the head of the Accelerator Division at that time. I still remember the interview. She did not speak much, she did not ask difficult questions either. I did all the talking. She was listening to me very attentively. As you can imagine, I was trying to give her the impression that I would fully dedicate myself to Fermilab. She believed me. In the next four years I totally dedicated myself to Fermilab. This may sound like exaggeration but it is true. Between 1988 and 1992 Fermilab was my life. I went home just to sleep. My mind was totally occupied with the Tevatron and accelerator physics. I did this for 4 years. She led a similar lifestyle for 40 years. Her intensity and dedication to accelerator physics was an order of magnitude higher than anyone at Fermilab. I owe my career to her because Fermilab was my second PhD. I learned a lot at Fermilab. In various jobs I have had since then I have always remembered the lessons I learned from Helen at Fermilab. She was in charge of the design, construction, commissioning and operation of the Tevatron which began delivering particle beams for Fermilab’s fixed-target experiments in 1983. Tevatron recorded its first proton-antiproton collisions in 1985 and was used by scientists to find the t-quark (top quark) in 1995 and the tau neutrino in 2000, two of the three fundamental particles discovered at Fermilab the first one being the discovery the b-quark (bottom quark) in 1977. 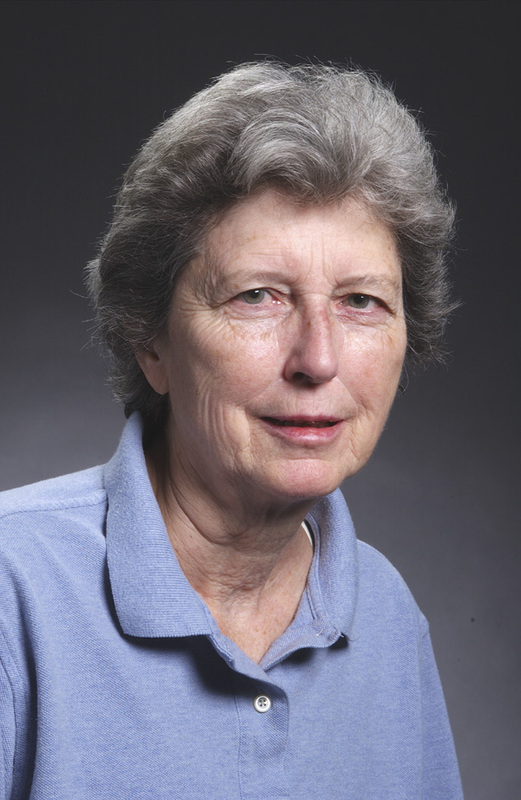 She began her tenure at Fermilab in 1970 under the laboratory’s original director, Robert Wilson. She had previously worked with Wilson as a research assistant at Cornell University. She worked at Fermilab for 40 years, serving most recently as a guest scientist from 1992 to 2010.Through the last years of her life, she worked on the next generation of superconducting accelerators, helping to shape the future of particle physics. She focused much of her work on accelerating cavities. She designed the key features of the Superconducting Super Collider. She also maintained a position at Deutsches Elektronen Synchrotron (DESY), working on the design for the TESLA superconducting linear accelerator. This entry was posted in history, physics and tagged Helen T. Edwards. Bookmark the permalink.